Erik Gatenholm and Hector Martinez are the Henry Fords of the 3-D biotech printer business. Until Ford came along with his Model T, automobiles were too sophisticated and too expensive for all but the elite. 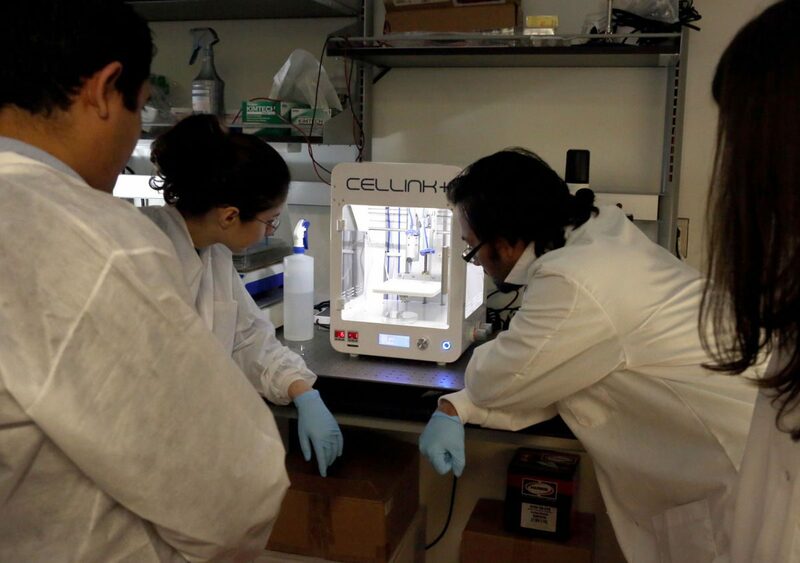 The co-founders of Cellink saw the same thing happening with 3-D biotech printers. Few could afford high-precision printers with six-figure stickers. For many labs, the choice was between the Rolls-Royce of printers or the horse-and-buggy days of casting simple three-dimensional tissue samples with molds to conduct medical experiments. Gatenholm and Martinez took a different approach. Just as Ford sought to build a car for everyman, the duo sought to build a bioprinter for every lab. Cellink launched its line of printers slightly more than a year ago from offices in Blacksburg and Sweden. The company had preorders lined up before its launch and now has installed them in hundreds of labs in 30 countries, including Gatenholm’s alma mater, Virginia Tech. On a recent Friday morning, Martinez, the company’s chief science officer, and Gatenholm, along with a few other representatives of Cellink, were in Tech professor Scott Verbridge’s Laboratory of Integrated Tumor Ecology. They were installing the printer and teaching researchers how to use it. The cube-like printer is about the size of a table-top microwave and has the slick white finish of an iPhone. Though it’s considered a basic bioprinter, what it does is rather sophisticated. Scientists select the type of tissue they want to study and mix those types of cells — such as collagen for skin — with a goo-like medium called bioink and then program the printer to make a particular body part, such as a nose. A window allows viewers to watch as ink jets move with precision, squeezing out the mixture and building layers of tissue in a petri dish. When it’s done, the dish contains a little transparent nose with nasal cavities. Without a 3-D printer, scientists would first need to cast a mold and then use it to build a structure.